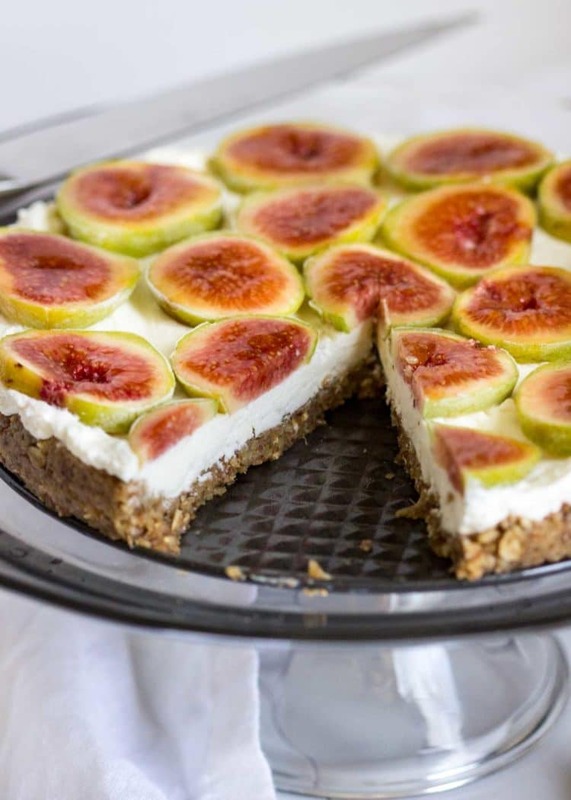 A dessert that happens to be healthy for you and no oven required, this easy to make No Bake Cheesecake Fig Tart is perfect for using up the latest bounty of fresh figs from the tree. Oh and this is gluten free too if that interests you. Sound good? I mean, it’s still warm out and the oven is something I turn on only if I have to, although summer is ending and lots of meals will be coming from there soon enough. 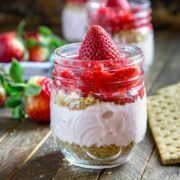 Until then this dessert is no bake, delicious and so easy to put together. Some might say a tart? But this is no bake? 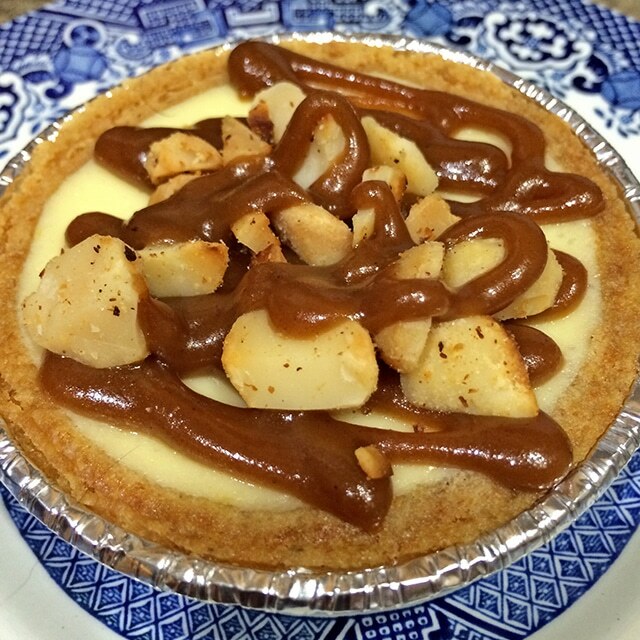 Well yes, a tart typically is a baked dish with a filling over a pastry base. The open top is not covered with any pastry, too. This though, is no bake for ease and since it’s open with no pastry on top I decided to keep tart in the name. More for recognition purposes really. The wonderful gluten free base is made up of nuts and dates, like in my No Bake Blackberry Tarts with Blueberry Cashew Cream. The no bake cheesecake filling is the same one I used in my No Bake Peach Cheesecake Bars, too. I added some oats to this base for some added structure and taste. We have a fig tree that’s just bursting with sweet, delicious figs and I needed to use them in a new way. I mean the birds and other critters have been chomping at the beak to eat these too! The nuts and oats are put in a food processor and pulsed for two minutes to start breaking down to a meal like consistency. Next I add the soaked dates, water, salt and pulse again for a minute or two until the dough comes together. Easy peasy. I use a non-stick springform pan and press the nut mixture down and up the sides slightly to completely cover the tart pan. Refrigerate for 10 minutes to firm up. 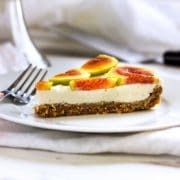 The filling for this No Bake Cheesecake Fig Tart is as easy as it gets using whipped cream, cream cheese, a bit of sugar and some vanilla. Slicing the figs vertically to show them off, I arranged them on top of filling and brushed them with a simple apricot jam and water glaze. 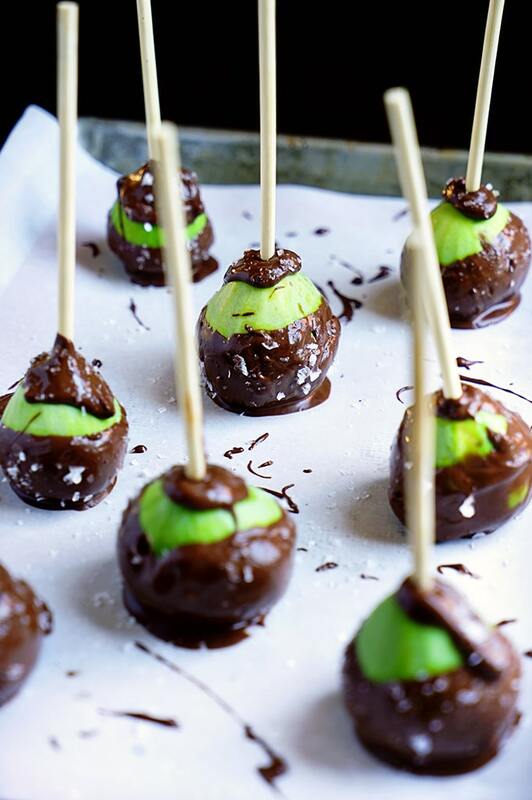 Refrigerate for 30 minutes to firm up and get ready for one incredible and might I say, eye catching, delicious dessert. If making ahead of time or the day before cover when refrigerating. This went over BIG with family and friends over the holiday weekend. Nobody even knew it was gluten free and asked for the recipe to make again. 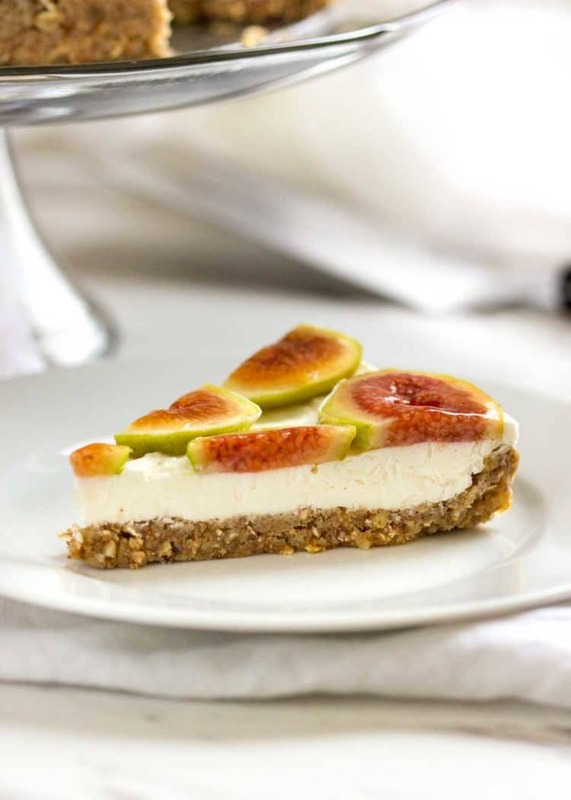 The fresh, sweet figs were put to good use in this, and as a no bake recipe, it was a hit. Creamy cheesecake filling without all the baking fuss. Enjoy! Remove the pits from the dates and discard. Soak the dates with enough hot water to just cover, set aside for 5 minutes. Place the almonds, walnuts and pecans in a food processor and pulse for two minutes to start breaking down the nuts to a meal like consistency. Add the drained dates, water and kosher salt and pulse again for a minute or two until the dough comes together. Press the nut dough into the bottom of a non-stick 9" round springform pan, pressing down and up the sides slightly to completely cover the tart pan (see Note 1). Refrigerate for 10 minutes to firm up. In a small microwave safe bowl add apricot jam and water. Microwave for 20 seconds to melt and stir to mix. Set aside. Whip the heavy cream and set aside. Whip the cream cheese, vanilla and sugar for a minute until fluffy. Fold in the whipped cream and spread over chilled nut tart shell. 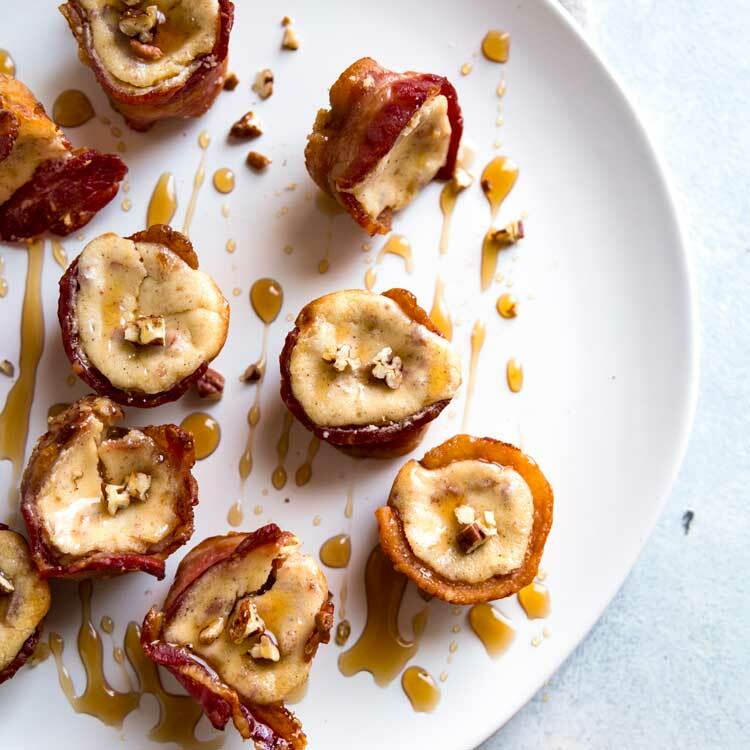 Arrange sliced figs on top of filling and brush figs with glaze. Refrigerate for 30 minutes. 1. I use a 9-inch non-stick springform pan typically used for cheesecakes. If you don't, grease the springform pan with a little oil or vegetable spray. Incredible! I love cheesecake, and your idea is so wonderful. I love your illustrate pictures. Just by the look, I could tell this cheesecake is delicious. Thanks for sharing, Kevin. Ooohhh you have a fig tree?! I’ve always wanted to grow figs, but have never planted a fig tree. I’m pretty sure they’d grow here. I love the simplicity of this tart, Kevin, and the fact that it’s just the perfect balance of components… not too much of anything. Medjool dates are magic, aren’t they? Beautiful and delicious work! Well the figs have all but disappeared (I have one or two more recipes coming) and the birds have had a great time with them this year as have we. Thanks so much Traci for stopping by here and your kind words. 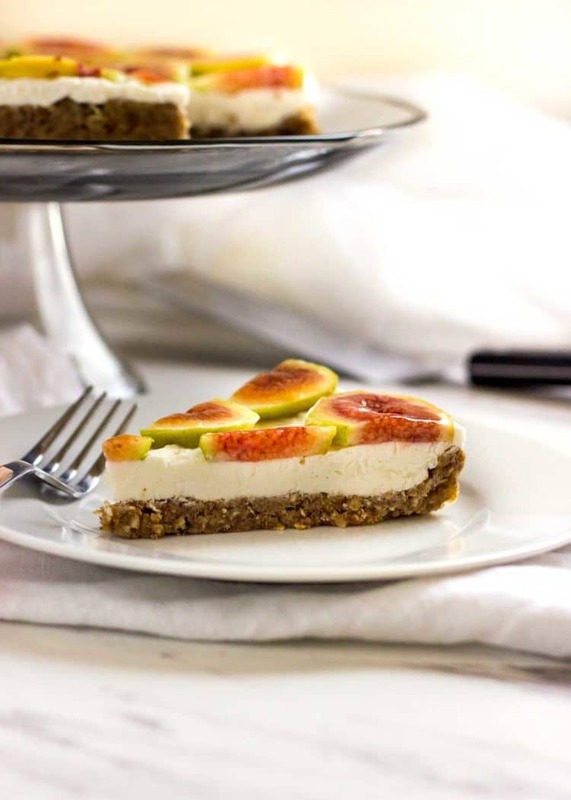 cool day with clean air and fresh cheesecake fig tart…nothing better for a picnic with family. no bake cakes always have special impression to me. thanks for sharing this, Kevin. have a nice day! Thanks so much David, I couldn’t agree more! awesome. 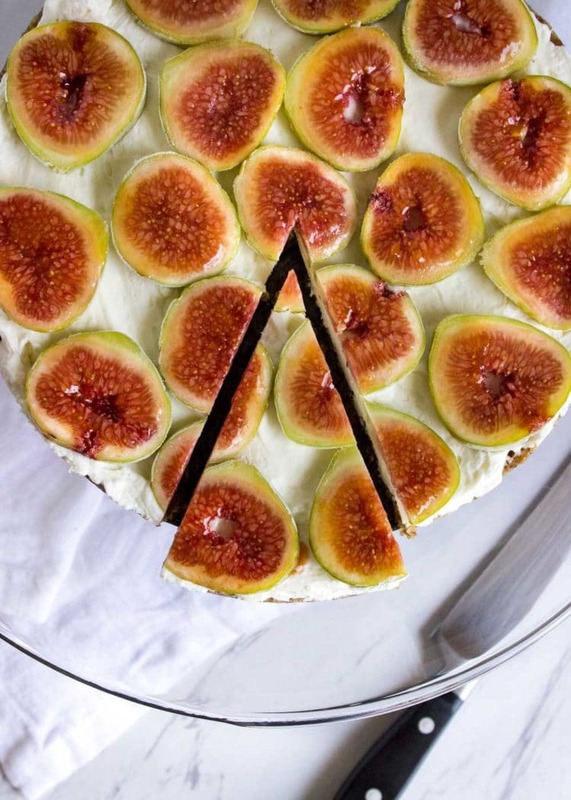 i’m a big fan of figs and i must say that i don’t really like figs baked. 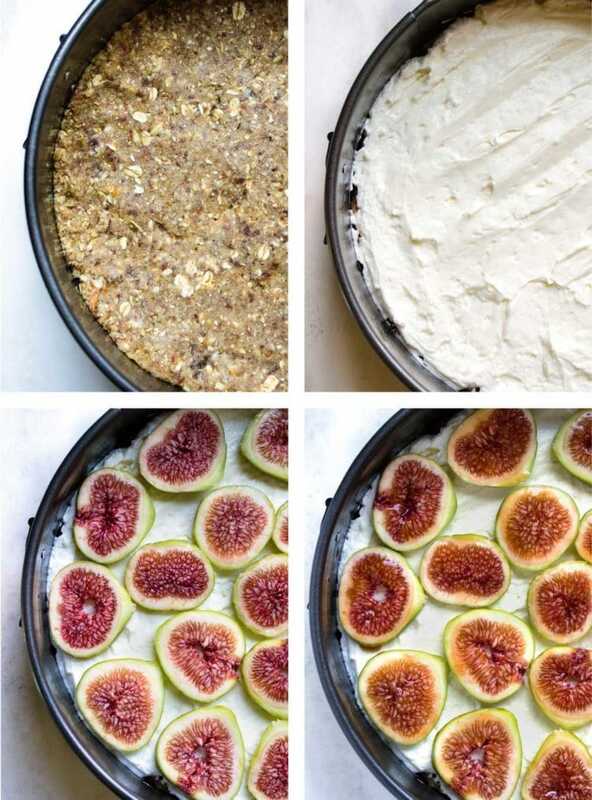 so this recipe is great, i love the way fig’s flavor still be fresh. it’s much better. 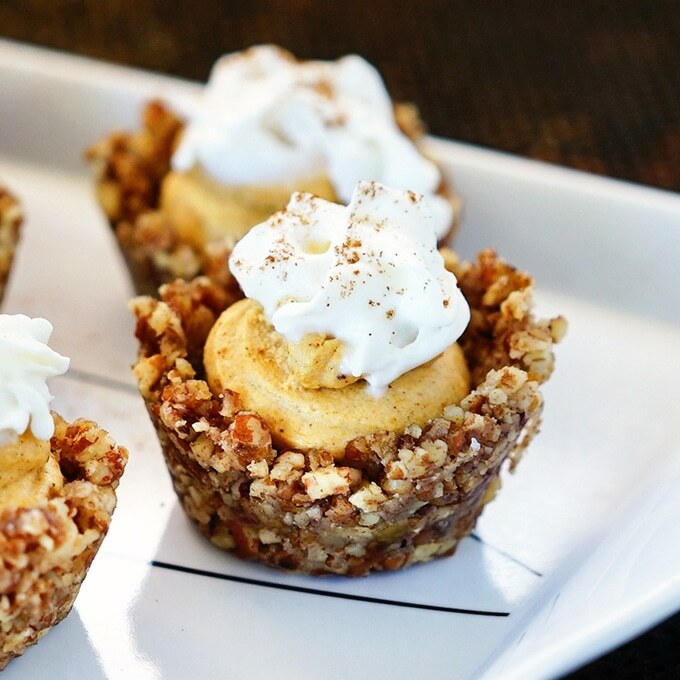 these tarts look perfect, too. 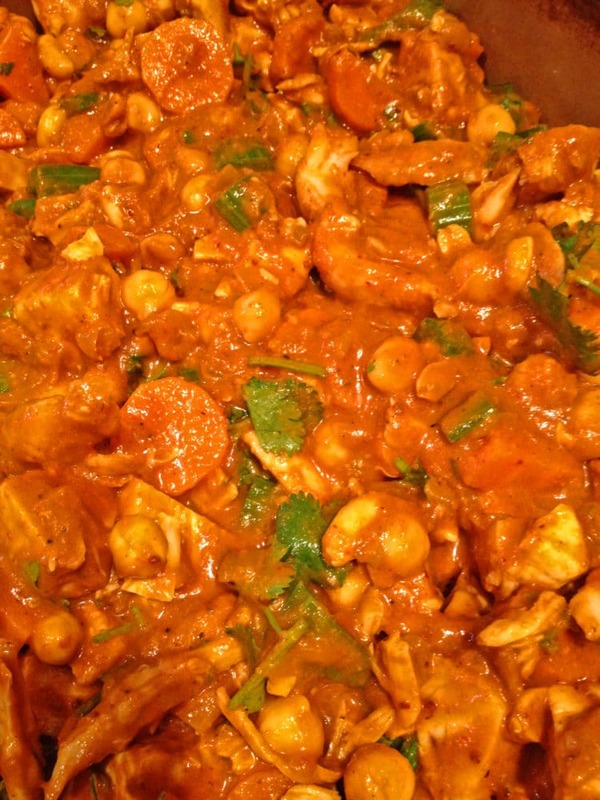 thanks for sharing this nice recipe. Wow! 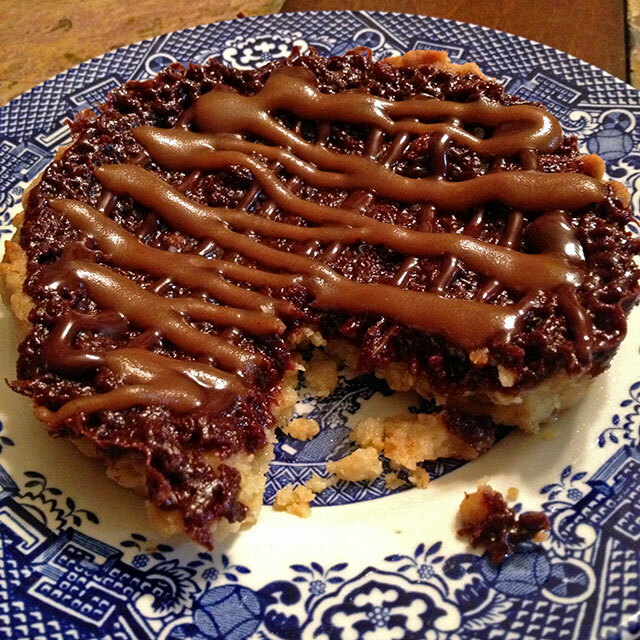 Absolutely stunning tart, Kevin! I’ve been on a sweets binge recently and this would totally rock my world! And it’s no bake?! Sign me up – no plate needed, just give me a fork. I would gladly share if we were neighbors Greg. 😉 Come check out this Friday’s post, more figs! Hey Kevin! Thank you, thank you! I know where some of my figs are going! The base sounds delicious on its own with all the nuts and dates! Luckily the birds here don’t bother the dates, they are too busy eating all the berries! Happy weekend guys! It’s fig time, right Dave? Got some more coming your way. 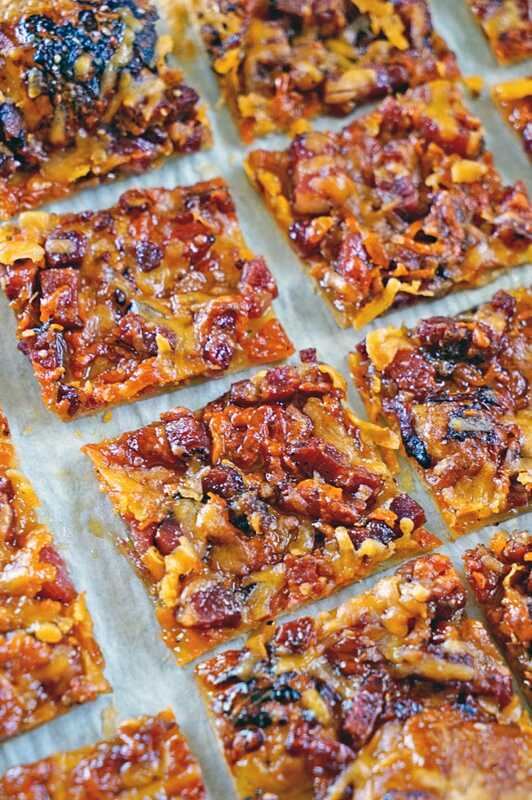 Recipes that is, sounds like your grocer has them in now. 🙂 Thanks and have a great weekend you three. Cheers! This definitely is ‘eye catching’ Kevin!! It’s beautiful!! And that base sounds absolutely perfect! I can understand why it went over well. Can ya send me some 😉 ? Pinned! Have a great weekend, my friend! Have a wonderful weekend my dear. Whatcha binge watching? We’re gonna go hiking with the dogs, but I really feel like a movie or two. Haha….send me the tracking #, lol 😀 ! Binge Watching? Just finished Narcos, watching Mrs. Brown’s Boys for the second time and watching The Strain (the new season is on and we have to wait a freakin’ week each time for each episode). Soon going to watch Gotham when it’s back on too. So many shows, so little time! We usually save them up from the week and watch on Friday/Saturday night. Hike sounds good too. Blueberry picking is quite popular round here these days 🙂 Hope you had a great weekend, Kevin 🙂 ! Have you guys watched Luther yet? OMG, super good. Two words… Idris. Elba. OMG. Don’t be surprised if you see this on Instagram soon as part of a spread. Thanks Nagi, I’d love it! There’s still one slice left too, or can Dozer have a nibble? It’s a masterpiece of deliciousness if I say so myself. 🙂 Hahaha, and it’s healthy, can’t beat that, right Farida? Cheers!